Will Exercising At Night Hurt Your Sleep? Regular exercise reduces stress and anxiety, and generally improves sleep. For some individuals, they are able to fall asleep after a workout while, for others, a grueling exercise may keep them awake for a long period into the night. We all know that sleep and exercise are good for you. Regular exercise reduces stress and anxiety, and generally improves sleep. But, is it possible to perform both the activities too close in time to each other? For some individuals, they are able to fall asleep after a workout while, for others, a grueling exercise may keep them awake for a long period into the night. Can’t sleep at night? Late-day exercising can cause insomnia for some individuals. Why? Blame it on the hormones adrenaline and cortisol. “Strenuous exercise beyond the usual for a given individual does activate stress-responsive systems, including the release of cortisol in the evening and adrenaline and it is well known that difficulties falling asleep and staying asleep may occur,” wrote Dr. Eve Van Cauter, Director of the University of Chicago’s Sleep, Metabolism and Health Center. When we are trying to sleep, our bodies and minds are winding down and dozing off. Adrenaline and norepinephrine are secreted during exercise; these hormones do quite the opposite of helping us to sleep. Your heart rate increases, more blood rushes to the muscles, sugar metabolism is amplified, and your alertness spikes, similar to if you were drinking coffee. The more rigorous the exercise the individual is doing, the more of these hormones are secreted into the bloodstream. Therefore, the less trained you are in the exercise, the higher these hormones will be in your bloodstream. Though the adrenaline and norepinephrine levels drop shortly after exercise, it is believed that these hormones can stay at elevated levels in the bloodstream for up to 48 hours of the exercise. Strenuous exercise can also increase the level of the hormone cortisol in the bloodstream. Cortisol is released in response to stress and a low level of blood sugar. Endurance exercise, in particular, triggers cortisol release to help increase the blood sugar concentration to keep the muscles going. Cortisol also plays a major role in the sleep-wake cycle. When waking up, the cortisol level is at its peak. Throughout the day, the levels diminish; however, rigorous exercise in the evening can increase these levels and throw your sleep-wake cycle out of balance. This is similar to why mental stress and anxiety can keep an individual up all night, leading to insomnia. Mental stress increases cortisol levels and can make sleeping more difficult. Try exercising early in the morning. Your cortisol levels are highest during that time and will wake you up for the day. It is important to remember that in order to get a good night’s sleep, avoid exercise before bed, as it has the ability to disrupt the sleep of some individuals. Comings, D. E., Gade‐Andavolu, R., Gonzalez, N., Wu, S., Muhleman, D., Blake, H., ... & P MacMurray, J. (2000). Comparison of the role of dopamine, serotonin, and noradrenaline genes in ADHD, ODD and conduct disorder: multivariate regression analysis of 20 genes. Clinical Genetics, 57(3), 178-196. Hamer, M., O'Donnell, K., Lahiri, A., & Steptoe, A. (2010). Salivary cortisol responses to mental stress are associated with coronary artery calcification in healthy men and women. European heart journal, 31(4), 424-429. Nelson, R. J. (2005). An introduction to behavioral endocrinology . Sinauer Associates. Pourvaghar, M. J., & Shahsavar, A. (2012). Epinephrine and norepinephrine follow-up response to an exhausting aerobic exercise. KAUMS Journal (FEYZ),16(1), 36-41. Robergs, R. A., & Roberts, S. O. (1997). Exercise physiology. St Louis: Mosby, 49-54. Suzuki, K., Totsuka, M., Nakaji, S., Yamada, M., Kudoh, S., Liu, Q., ... & Sato, K. (1999). 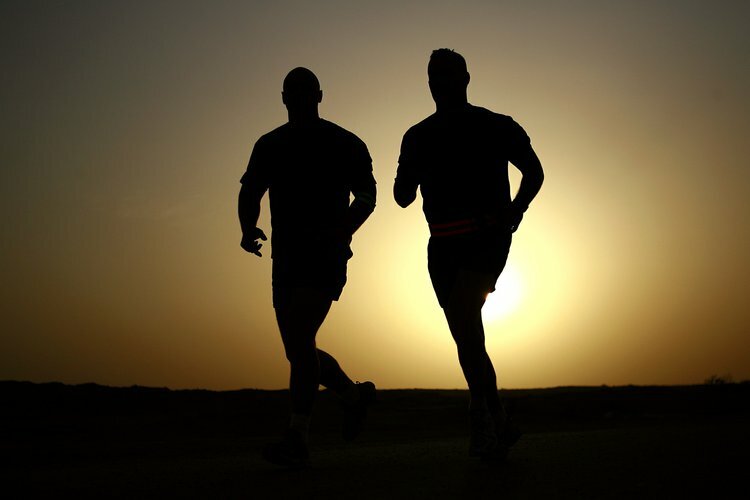 Endurance exercise causes interaction among stress hormones, cytokines, neutrophil dynamics, and muscle damage. Journal of Applied Physiology, 87(4), 1360-1367. Baekeland, F., & Lasky, R. (1966). Exercise and sleep patterns in college athletes. Perceptual and Motor Skills, 23(3 suppl), 1203-1207. Vuori, I., Urponen, H., Hasan, J., & Partinen, M. (1987). Epidemiology of exercise effects on sleep. Acta Physiologica Scandinavica. Supplementum,574, 3-7. Magkos, F., Patterson, B. W., Mohammed, B. S., & Mittendorfer, B. (2007). A single 1-h bout of evening exercise increases basal FFA flux without affecting VLDL-triglyceride and VLDL-apolipoprotein B-100 kinetics in untrained lean men. American Journal of Physiology-Endocrinology and Metabolism, 292(6), E1568-E1574. Tanaka, H., & Shirakawa, S. (2004). Sleep health, lifestyle and mental health in the Japanese elderly: ensuring sleep to promote a healthy brain and mind.Journal of psychosomatic research, 56(5), 465-477. Youngstedt, S. D. (2005). Effects of exercise on sleep. Clinics in sports medicine, 24(2), 355-365.